*Many participants of 1st stage CBT have represented that even though they had 10+2(with Physics and Maths) or additional technical qualifications such as ITI in more than one trade, they had not filled these details at the time of application. But now in view of the opportunity to opt 10+2- Physics and Maths also, as a trade for qualifying CBT, they want to add such additional qualifications in their applications. *RRBs have examined these representations and have decided to give an opportunity to all such candidates for adding their additional eligible qualifications viz, HSC (10+2) in Physics and Maths, Diploma/Degree, more than one ITI trade, provided they had acquired these qualifications on or before 31-03-2018, the closing date of CEN 01/2018. Similarly, many candidates have requested for an opportunity to modify their selected RRB, post preferences and the exam trade. RRBs have decided to provide a one time opportunity to candidates for such modifications also. *In order to incorporate necessary changes in the programme, the link for selection of RRB, Post preference etc. shall be temporarily unavailable for some time. *The link, with above changes, will be live again from 11:00 hrs of 01-10-2018. *The last date of submission stands extended up to 23:59 hrs of 06-10-18. *Those candidates who are having additional essential qualifications, whether submitted their options so far or not, can log in from 01-10-2018 and add their additional qualifications with relevant details. On addition and confirmation of educational qualifications, the candidates will be required to select the RRB, fill priority number for the post preference and select exam trade afresh as per their revised educational qualifications. 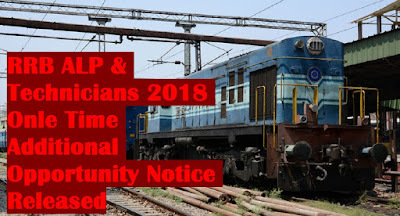 *Candidates, who have already submitted the RRB selection, Post preferences etc and wish to add qualifications or modify the RRB, post preferences and exam trade can also log in from 01-10-2018 and add qualifications or modify the submitted details only once by entering the OTP sent to their registered e-mail and mobile number. Similarly for modifying bank account details also, OTP is being sent to registered e- mail as well as mobile number. 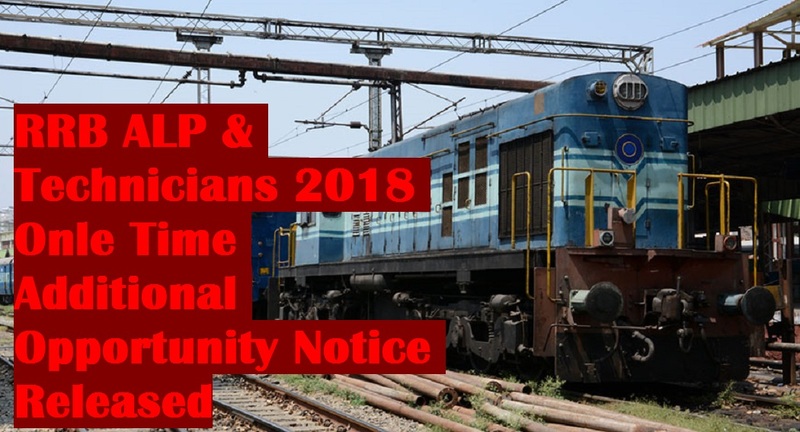 *The candidates, who have already completed the RRB selection, post preferences, exam trade and bank account details and do not wish to furnish any additional qualifications or modify, need not do anything and their submitted details shall remain valid.